In the commercial extraction of oil from groundnuts, the choice of the groundnut oil extraction plant and machinery is perhaps the most important consideration. The process starts with the cleaning of the seeds by use of machines specialized for cleaning. They ensure that only the clean seeds go to the next stage. Here, the foreign substances are filtered away. Things like dust, sand, seed covers are washed off in the initial process of extracting oils from groundnuts. The second procedure involves the crushing of the groundnuts. 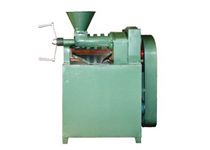 The crushing can be done using a food processer or other available machinery. Crushing is done in such a way that the groundnuts acquire coarse-sand regularity. This stage is followed by the steaming and drying stage in the drying units. 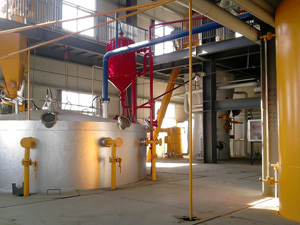 The crushed seeds are steamed, then passed to dry units to ensure that only the needed substance remains and any other substances are gotten rid off. 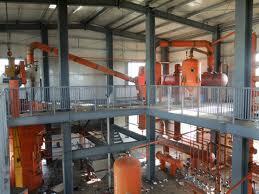 The last stage is where the well-dried crushed seeds pass through the pressing unit and the conveyor unit. At the pressing units, the crushed seeds are passed through a hardened cage for squeezing all the oil from the seeds. The machines used are mostly automatic, and therefore they require minimal labor when in operation. This contributes greatly to the price set for oil extracted from the groundnuts, making it cheaper. Less human involvement generates more profits. The by-products present in the oil extraction from groundnuts are used as raw materials in manufacturing things like soaps and margarine. Groundnut oil extraction plant and machinery comes as a huge benefit to the users because the oils extracted are low in cholesterol of which other fats contain high cholesterol that endangers their life because it acts as a trigger for many diseases.